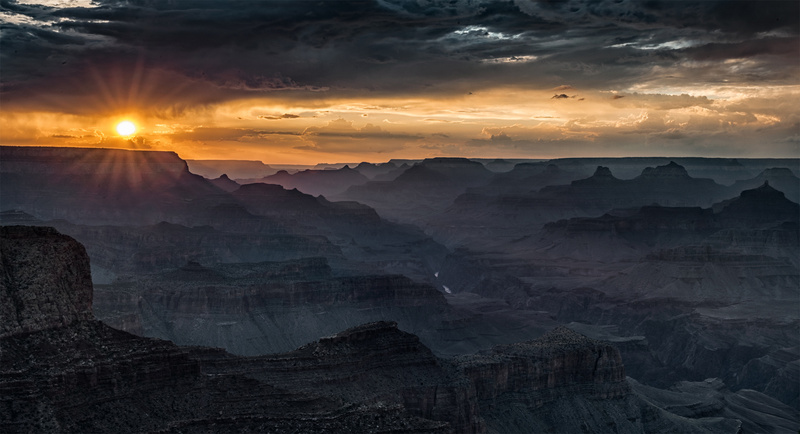 for some dramatic skies and light over the Grand Canyon. The access points on the east side of the south rim provide, to me at least, some more sweeping views of the area. Waiting for storms, then rushing to the canyon's edge to watch the light change, can present some truly majestic moments.